Iraq’s Foreign Ministry says it is “astonished” over report that Iran moved missiles to Iraq but stops short of denying its contents. Iraq’s Foreign Ministry on Sunday said it was “astonished” over a Reuters report from Friday that Iran had moved missiles to Iraq. While the ministry said the Reuters article was “without evidence”, it stopped short of denying its contents. “Iraq is not obliged to respond to media reports that lack tangible evidence backing up their claims and allegations,” the ministry said in a statement. “All state institutions in Iraq uphold Article 7 of the constitution, which prohibits the use of Iraqi land as a base or passage to be used in operations targeting the security of other states,” it added. Friday’s report quoted three Iranian officials, two Iraqi intelligence sources, and two Western intelligence sources, all of whom confirmed the transfer of short-range missiles to Iraq over the course of several months. Iran on Saturday rejected the Reuters report, claiming it aimed to harm Iran’s ties with its neighbors. “Such false and ridiculous news have no purpose other than affecting Iran’s foreign relations, especially with its neighbors,” said Iranian Foreign Ministry spokesman Bahram Qassemi. “This news is solely aimed at creating fears in the countries of the region,” he added. Iran’s ballistic missile program has long been a cause for concern for the West. The 2015 nuclear deal signed between Iran and world power does not cover Iran’s missile program. The Islamic Republic has come under fire for its test-firing ballistic missiles in recent years. 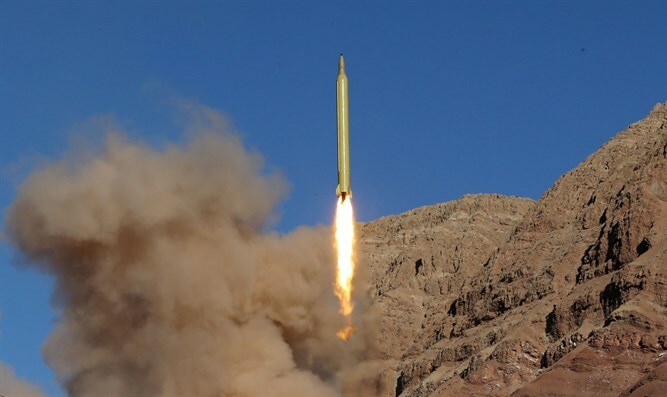 The United States has several times imposed sanctions on Iran over the tests, saying its missile tests violate UN resolutions. The Reuters report came several weeks after Iran test-fired a Fatah-110 short-range ballistic missile. U.S. Secretary of State Mike Pompeo responded to the Reuters report on Twitter and said he was “deeply concerned” by it. “If true, this would be a gross violation of Iraqi sovereignty and of UNSCR 2231,” he added. Pompeo was referring to UN Security Council Resolution 2231, which underpinned the 2015 nuclear deal. Iran denies its ballistic missile tests violate this resolution.